I´m a tad late to the party but the Currently meme which have been going around in the past weeks is really nice and I´ve loved the posts from Katy Upperman, Jaime Morrow, Jessica Love, Rebecca Behrens, Ghenet Myrthil and all others. So here´s mine! 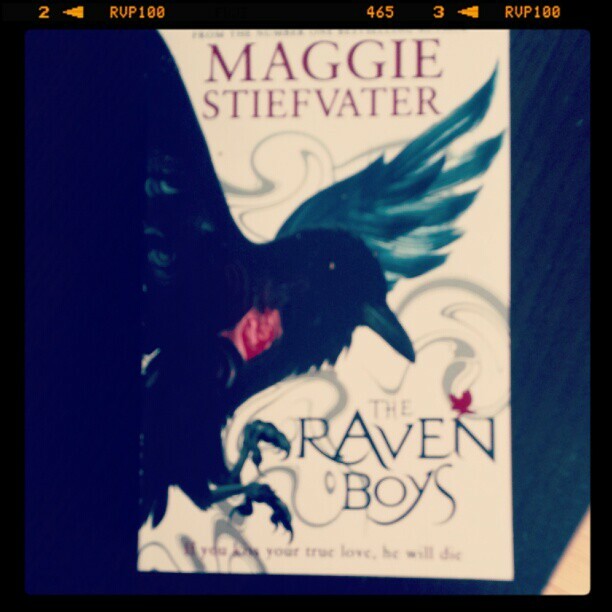 THE RAVEN BOYS by Maggie Stiefvater for Tracey´s YA Book Club. I´m only a few pages in and I can already recognize the magical writing, the eerie atmosphere and the anticipation of wanting to be immersed in the world Maggie created. After Jessica Love´s raving about the show Awkward., I caved in and bought the first season. I watched a few episodes and I´m already hooked. My manuscripts, the one almost done and the one I just restarted. Wondering when I should start querying. Wondering how I should go best about it. Coming to live with us as of Monday evening. So many things…Getting feedback on my next 2500 words by Mandy Hubbard thanks to the class I´m taking, going to the Frankfurt Book Fair next week and to the SCBWI reception organized on Friday evening, the show THE WALKING DEAD starting again soon…but right now I´m also anticipating welcoming this new addition to our family. For more time. The past weeks have been very busy at workMore time to write.More time to talk to my family. More time to spend with my hubby. More time to spend with my friends. More time to finally organize some things at home. More time. Certain things are constant in my happiness. My husband, my family and friends. My writing. All the wonderful connections I´ve made through twitter and this blog. Knowing that ONE TWO THREE is almost ready to be sent out in the big wild world. Getting the house ready for Peter. And…and….and…knowing that this list of things making me currently happy would be way too long for a single post. Tell me what are you anticipating with a smile this week? Decorating for Fall, even though it doesn’t feel like it where I live:-) Cheers to a great week! Oh I’ll be doing this meme soon. Love it. I’m not a cat person, but yay if you’re happy with it! Aw, what a sweet cat 🙂 Have fun in Frankfurt! Aw, congrats on the new kitty! Looks very sweet. Have fun at Frankfurt; I want to hear all about it! Awkward is AWESOME!!! And I can’t put The Raven Boys down. Love, love, LOVE this book! 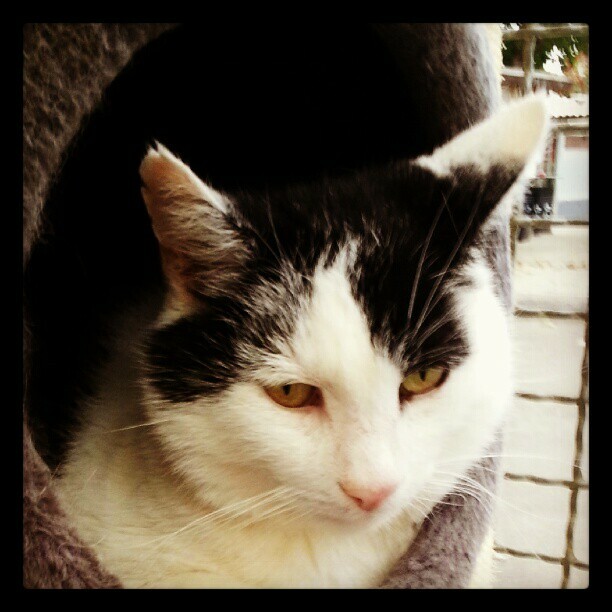 Hope you have a great week, Elodie! Ohhhhhh my gosh, words cannot describe how jealous I am you’re going to Frankfurt! I expect a full report, FYI. 😉 Have fun! Oh, I loved this! So many great things in one post! I hope you have a blast in Frankfurt! My agent is headed there with my ms this week, too. I’m keeping my fingers crossed. 🙂 Have a fabulous week! 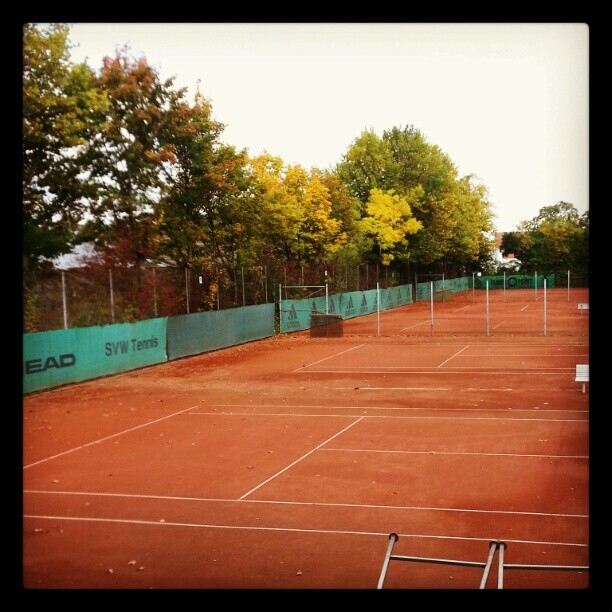 I love the fall too! Nice to know you’re experiencing the same thing over in Germany. 🙂 Enjoy the SCBWI Frankfurt event! I need to read The Raven Boys. I keep hearing so many good things about it! Yay for Awkward and Raven Boys! I just finished The Raven Boys the other day and loved it. Maggie Stievfater rocks! Yay for writing new words, and for gearing up for querying… Best of luck to you, Elodie. I’ll be sending lots of happy thoughts your way!